I have been sick and at home for 3 days now and when I am down my creativity increases. 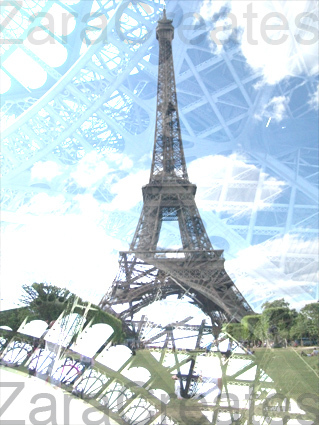 I used my photographs of Paris to create abstract images / postcards. 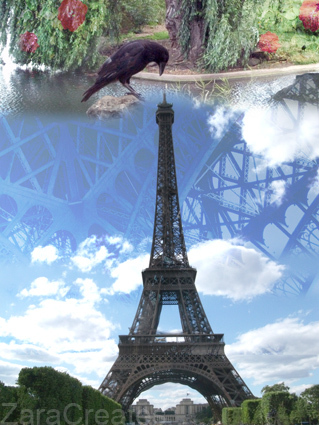 My mood and flu are improving as I remember my time in Paris and look at my creations. Hope you enjoy them! Please stay safe and healthy! Not many people have the time to look around, when they are in front of the magnificent Eiffel Tower in Paris. I walked to the side of the Tower and there is a quiet and peaceful park with a lake. This magpie is French! 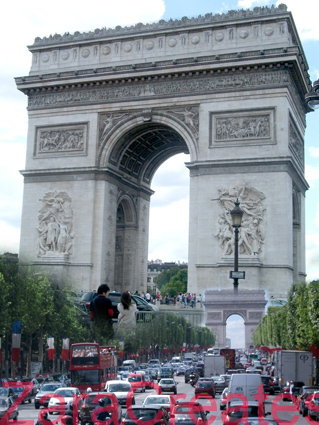 I was on a bus tour when I first saw the beautiful Arch of Triumph! I have heard that the views from it are absolutely stunning! I enjoyed just being next to it! The elegant Eiffel Tower has a beautifully light feel to it, it is absolutely stunning! Here you can see its intricate pattern! 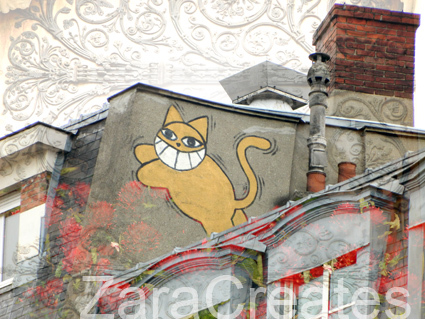 Walking the streets of Paris is very enjoyable and you always find something interesting- a painted cat on top of an apartment building…. 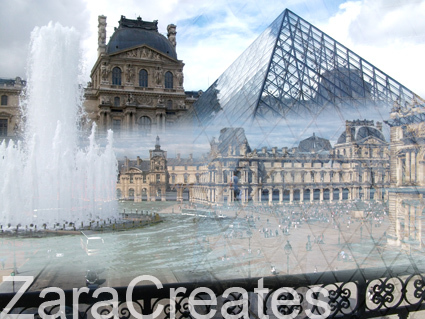 The Louvre Museum is not only interesting inside, as you can see here! 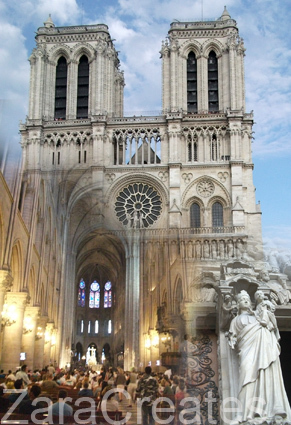 I was very lucky to be present at a 6pm mass at the Notre Dame de Paris! I have to go drink some hot milk and dream of Paris! I was looking through my photos and found a lot of pictures of flowers. I saw this as an opportunity to play in Photoshop, look up some information about the flowers and share with you. I would love to become a florist one day! 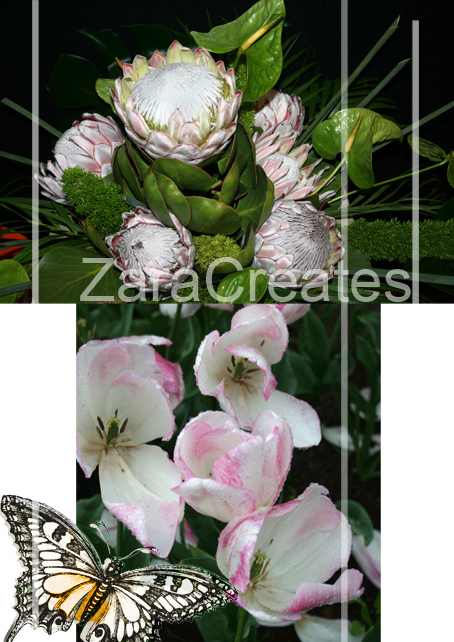 Here are my floral creations, I am sure you will agree that Flowers bring a smile and pleasure to us. 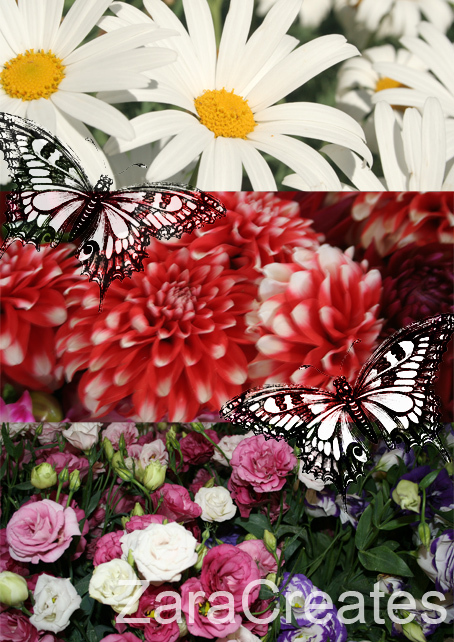 Below: Flowers and butterflies are the perfect combination. 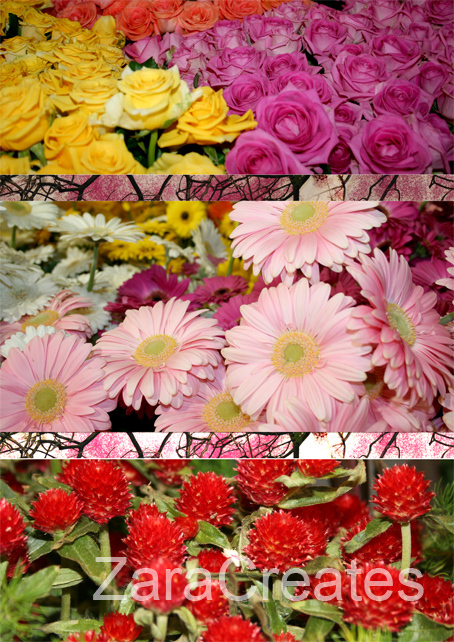 Here you can see the daisies, Bellis perennis, is sometimes qualified as common daisy, lawn daisy or English daisy. (Wikipedia) Asters- one of my favourite flowers as it reminds me of my childhood and passing the market where they were sold, everyday I went home from school. The other beautiful flowers are very common, but I don’t know the name, could it be anemone? And more gorgeous tulips with a butterfly! Enjoy and look for some flowers around you! I had a spare hour last night to have fun in Photoshop! 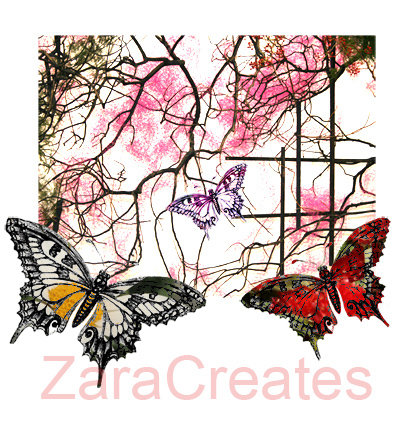 I started with my photos of flowers and then I incorporated them with some beautiful butterflies for some dreamy abstract vintage look! 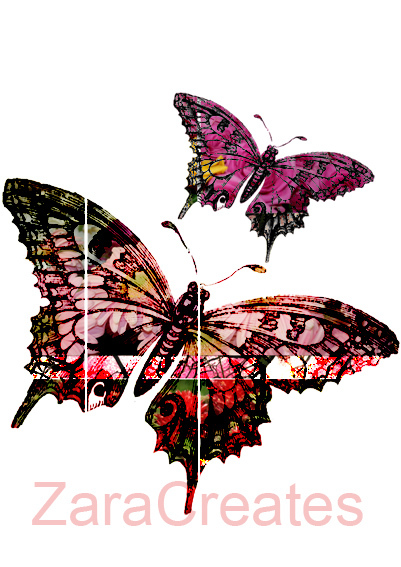 Butterflies and flowers are my favourite gifts of nature, they are delicate and precious! So happy with my creations, hope you enjoy them also! 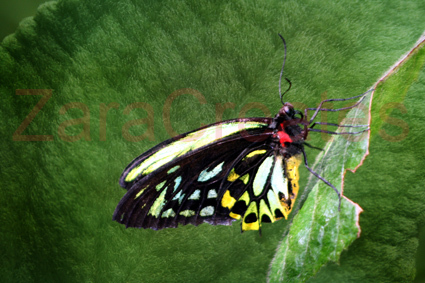 I love the butterflies, they are so beautiful, playful and amazing. When I was a little girl I used to catch them and bring home. I put them into thick books to dry and then used them for art projects. Now I enjoy seeing them from afar and marvel at the sight. Life is a precious gift, enjoy yours! This artwork is a message to the world about the place of women in society! We do belong everywhere and we are all Beautiful Divas. Add a bit of interest to your portraits by including other images. 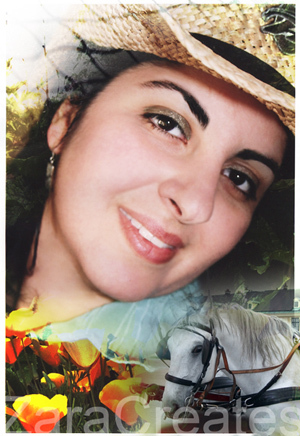 Here is a portrait of a lady in a cowboy hat, as well as images of tulips and a white horse. 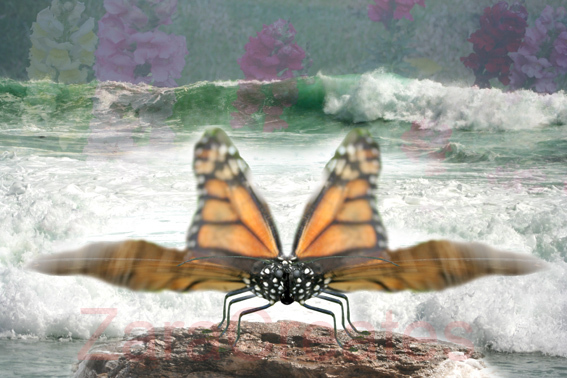 It is a romantic, imaginative, creative Photo Art. Think of overall look and feel of your Image, what is the message and feeling that you want to convey to people, looking at it. Photographs can be transformed into works of art, Photo Art. Unbelievable effects can be applied to ordinary images to create masterpieces. 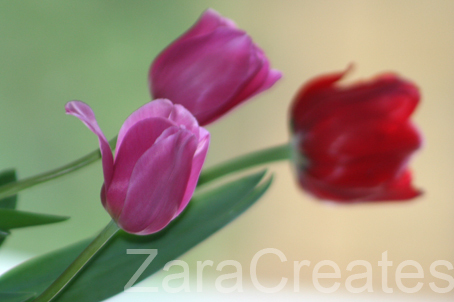 We can take any image and make it surreal or artistic. If you like, we can change your image. 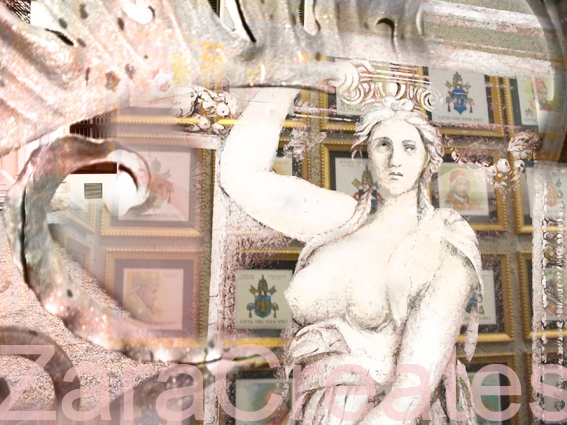 Please email your image to zaracreates@gmail.com and for $30 you can have your own creative custom Photo Art. What can you do with an artwork? You can print it and frame, print to canvas, show off on Facebook and other websites. Give it a go! I am a woman, a Goddess. So are you, if you are a woman. 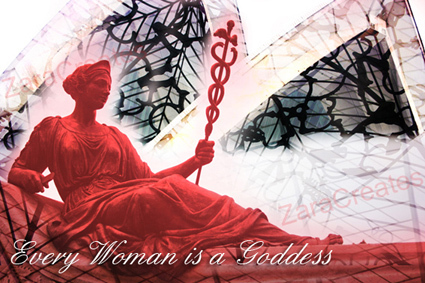 I truly believe that every woman is a Goddess. It is important to remember during the sad, trying and depressing days that you are a Goddess and deserve the best in life! Let’s celebrate being a woman everyday and light up the world with our smiles! With these sentiments in mind, I created this artwork. Remember, you are a Goddess! Sunflowers are a popular subject for artists to express and Vincent van Gogh has depicted them beautifully in his paintings. 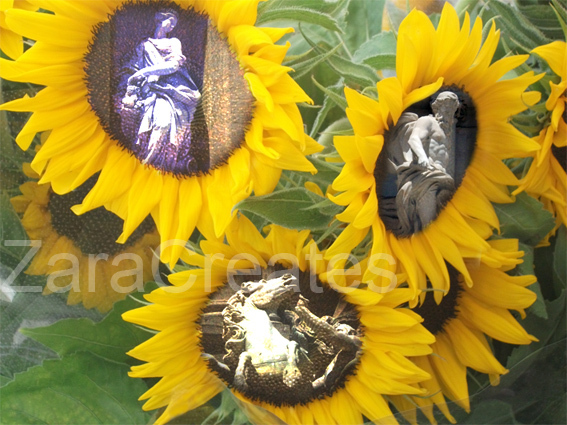 These are my Surreal Sunflowers with a surprise.